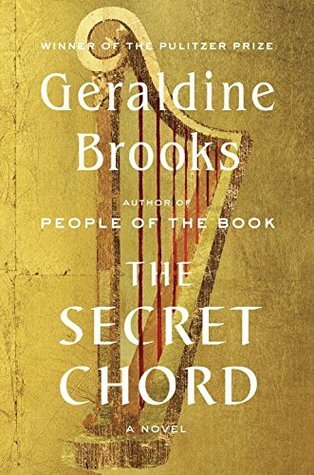 I reviewed The Secret Chord by Geraldine Brooks. Spoiler alert: I liked it! You may know that I'm in the process of watching every bit of Star Trek that's ever been released. 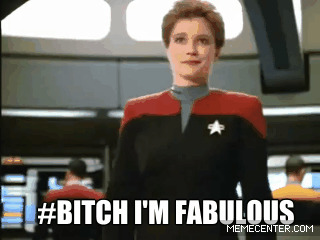 I'm currently watching the last season of Voyager. As far as television series I'll only have Enterprise left. I'm nervous to watch that poor, much maligned show. Can it really be as bad as everyone says? Pretty baby Myrtle made an appearance this week. Isn't she the sweetest? She's our quiet kitten. She mostly keeps to herself and doesn't usually sit for photos. Did you all see that crazy, #MotownMiracle, unbelievable last play of the Packer/Detroit game last week? Wow. I don't know if I've ever been made happier by a football game. A walk off hail Mary touchdown? Amazing. (I still get goosebumps when I watch it, wheee!) I hope we can handle the Cowboys today. Fingers crossed. That's all from me this week. I'm off to make a grocery list and scrub my kitchen sink. It's never ending glamour around here. What are you up to? What did you cook/blog/read this week? Let me know! Cook? Well, I'll be cooking an omelette this morning. Blog? A couple of things. Go to my blog to see. :) Read? Nada. I'm waiting for several books to come in from the library. As for what I'm up to - besides 5-foot-7-inches (I know! I slay myself!) - not much. 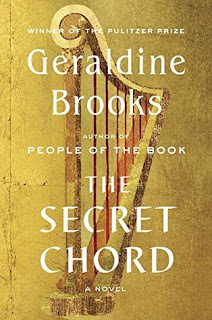 Chilling today to music, reading Sunday Salon and other book bloggish posts. That crock pot chili looks good, I passed the recipe on to my wife. I make omelettes most mornings, too :D Let me know if you guys make that chili. It's so easy and so good! It's easy and delicious, I promise :D OH gosh, I know what you mean about it being on your wish list. I had it in the back of my mind forever. Thanks for visiting, JoAnn! Have a great week. That sounds loke a great week to me! All glamour here, as well. No cooking, but I'm going to keep trying to get the husband to whip up some enchilada soup. I posted a recipe on FB, a couple years ago, and my mother-in-law served it (with thanks to me for posting) on our Thanksgiving holiday. Now that we know it's so good, we obviously need to make it . . . but husband does the cooking and he keeps leaving town. I'm binge-watching the 1995 version of Pride & Prejudice, tonight and will read when that's over. 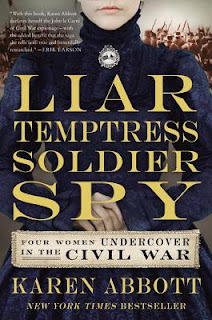 I passed up reviewing Liar, Temptress, Soldier, Spy. Mistake? Oh, love that version of P&P, it's been much too long since I've watched (or read!) it. I hate to have to tell you this, but yes. It was a mistake to pass on that book. Go get a copy, quick! Oh, I loved Liar, Temptress, Soldier, Spy, too! All of our TV shows are wrapping up for the season, so we're scoping out Netflix to settle into another good binge. I can suggest a grand binge of all of Star Trek but I don't think you'd go for it, ha ha. ;) Let me know what you settle on. I don't need another damn show but I'm always looking for one anyway! I did see that crazy play! That is what I love about football! I cannot face the fact that football time is nearly over. I love it so much, I don't want it to go awayyyyyyy, and that's still true even though this has been a really unfun season for my beloved darling Saints. I made that chicken taco chili last week. Yep, it is every bit as good as you said and will definitely be making the rotation next year. Go Pack go!! !